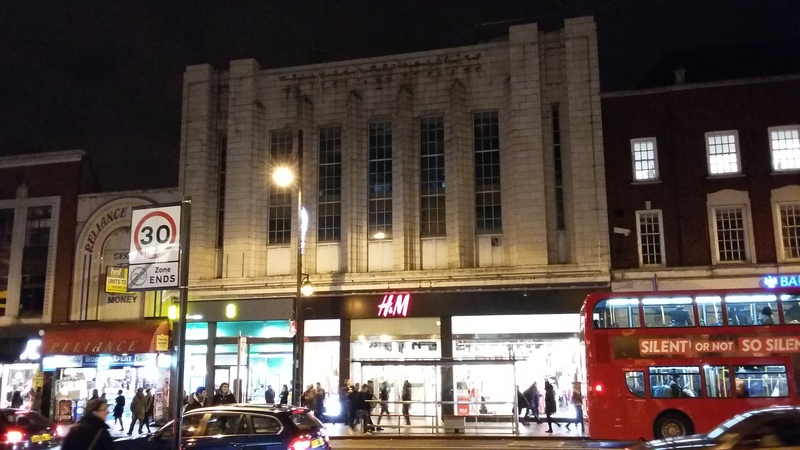 Just before Christmas I found myself in Brixton – as one does – and in wandering the streets passed by the H&M. As you might see from my photograph below, it is housed in a fine building. My immediate reaction was that that had to have been a Woolworths. My second reaction was that I knew a man who would know for certain. A couple of tweets later with @soult and he’d confirmed it (even without mentioning where I was, he knew the store and its location). Woolworths it was, and you can just about make out the position of the old fascia at the top of the building if you look carefully. 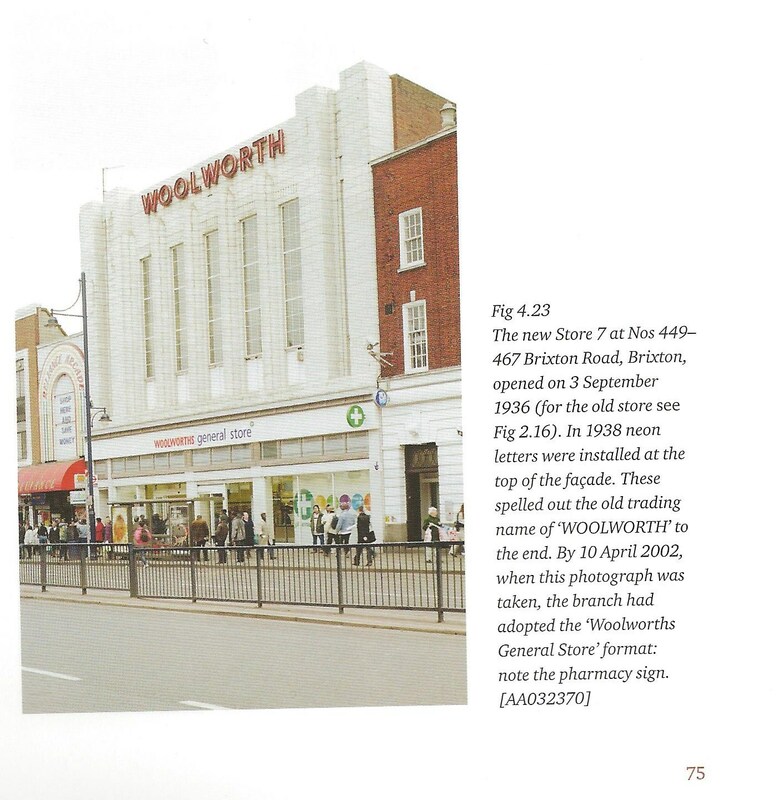 On my return from Brixton, I opened my copy of Kathryn A Morrison’s new book – Woolworth’s; 100 years on the High Street – and on page 75 there’s another shot of the Brixton store (reproduced below). It took real effort of will, and the distraction of exam marking, not to devour her book there and then. But Christmas and early January have provided the time and space to spend some pleasurable hours reading and then thinking about the book. This is not a history of Woolworths, but is rather an architectural guide to its store development. It is the story of Woolworths seen through the prism of its stores, according to the author. With access to an interesting archive, some great contemporary and modern photographs and an engaging and illuminating written commentary, this is a triumph of a book, though given the author’s “previous”, this should be no surprise. This book will be of interest to those – and there are many, and not all are obsessives – still fascinated by Woolworth’s history in the UK. It should also be of interest to those concerned with streets and design and the ways Woolworth and others created the vista of our best modern high streets. Retail forms made ‘concrete’ and built to last. I disagree with Kathryn Morrison when she says “few of these buildings can be classed as great architecture”; on the contrary I think they are often distinctive, well designed and important statements about the company, its operations and the places it operated in. The architecture, whilst “designed by obscure company architects” has many things to say to, and about, the high streets and retailers of today. A couple of other thoughts were developed by my reading, it may be a function of the archive or the approach, but the interest and the developments are very ‘front-loaded’. The recent decades of Woolies, whilst familiar in shop form, were rather functional, bland and comparatively identikit. The contrast with the heyday and the early days is marked in coverage, and I feel, tone. Secondly, it did make me reflect on the very mundaneness of our retail and its rather current sense of impermanence. We don’t build shops like we used to, and that is all too obvious in our streets and retail sheds. When was the last time you saw a modern retail development that made you stand back and say “wow” (and in a nice way)? And in that transition I fear we have lost a lot of our soul and difference and have diminished places and retailing accordingly. Retailers using – or re-using – space in the way their predecessors did are few and far between. Which is a shame. This is a really fascinating book, not only on its subject matter, but in placing Woolworths in this broader context of its history and place. It is very well researched and presented (though I am not yet reconciled to seeing my home town relocated to North Wales on p36 – photo below). For anyone interested in retailing, Woolworths, architecture and places, this book is a treasure trove. 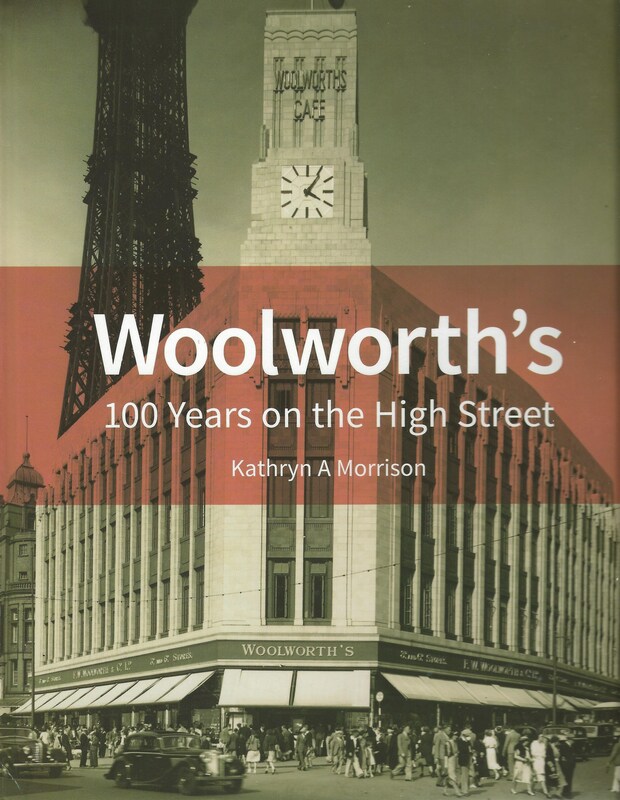 Kathryn A Morrison (2015) Woolworth’s: 100 years on the High Street. Historic England; Swindon. ISBN 978-1-848022-46-1. £50. Available from Historic England. This entry was posted in Architecture, Books, Buildings, High Streets, Historic Shops, Property, Public Realm, Retail History, Shopfronts, Streetscapes, Urban History, Woolworths and tagged Architecture, Buildings, Design, History, Streets, Streetscapes, Woolworths. Bookmark the permalink. I wonder why you are rummaging around in my life? Last week you blogged on flooding – got that, done that! This week we have Brixton (I was a regular visitor to Woolworth’s and Bon Marche in Brixton in the late 1950s and until 1961 when my family moved from Tulse Hill to Croydon, where I remained a customer of Woolworths. Add to that, I was one of the consultants brought in by Hilco to deal with Woolworth’s in administration – I ended closing ten stores around the North, East and West Yorkshire areas. Not all of these were built by Woolworth, and therefore did not demonstrate the obvious Woolworth frontage. Notwithstanding the grand façades that you have pictured, a large number of small town stores such as in Ripon and my native Marlborough were of a more standardized model. It is difficult to disguise them, and it is not unusual to walk through a town for the first time and spotting a former Woolies. Of course they are not alone, probably even more obvious architecture is delivered by the legacy of Montague Burton. 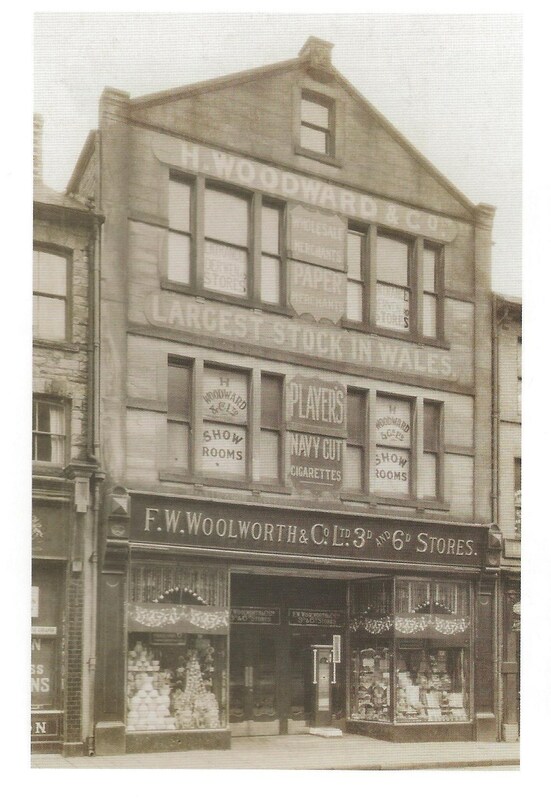 These like Woolworths could be found in towns large and small right across the land and are still identifiable even where they are no longer occupied by Burton’s. So where are we off to next? Forgot to give you a heads up for next time. Did you have any dealings with Albert Gubay and Kwik Save? They are next up when I have time. Sorry for stalking you! Unintentional – honestly. Also interested in your Burton comment. Ben much less chatteron them I think, and I know less, but worth looking at I think.